Square Enix’s Final Fantasy IV: The After Years is a strange beast. While there have been a number of sequels and spinoffs to official FF games all of them were based on post-SNES era games. 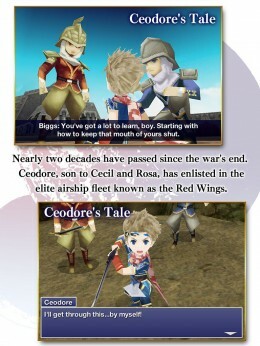 Yet, in 2008 SE released this direct sequel to FFIV to the Japanese populace as a mobile game, and would eventually launch it in the US first as a WiiWare port and then as part of a compilation on the PSP. Now, iOS users finally have a chance to check out After Years although there really isn’t much to enjoy. In making the transition to iOS, After Years receives a great looking 3D facelift. Gone is the classic 16-bit art style, replaced with visuals highly reminiscent of the DS remake of Final Fantasy IV. 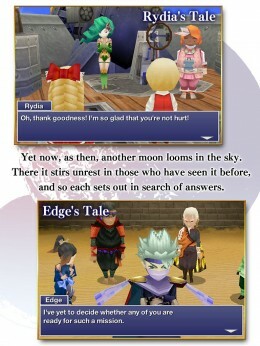 While it’s obviously based on the 3D engine used to recreate FFIII and FFIV, as was the case with those titles’ iOS ports After Years looks much better than anything you’d see on Nintendo’s portable system. In fact, other than a few minor cosmetic improvements, the game’s visuals and interface look exactly like the iOS port of Final Fantasy IV. Fans of the series have a lot of opinions regarding the 3D engine, but I’ve enjoyed the updated look and that continues with After Years. 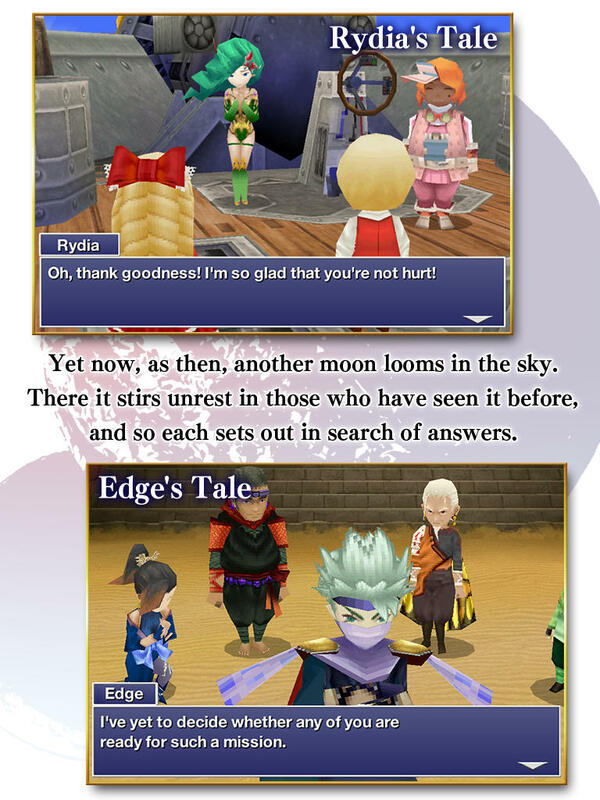 For a lot of gamers, this will be their first foray into the world and story of After Years, which picks up about a dozen or so years after FFIV. Unfortunately, I found the new characters and overall story to be pretty lackluster. 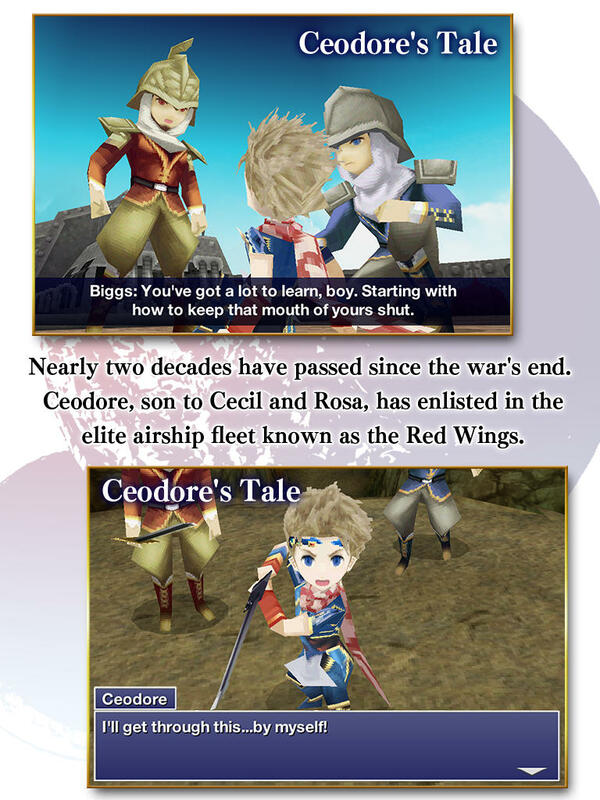 The new PCs, which include the likes of Ceodore (the offspring of Cecil and Rosa) and Luca (King Giott’s daughter) are a bit shallow in terms of character development and just don’t have the same caliber of personality that all the original FFIV team had. Alas, even those characters take a hit in After Years as the game’s writing just felt subpar compared to the rest of the series. I don’t know if my expectations were too high, but when I can call out instantly who the “mysterious” allies are that join you, there’s something wrong with the story. I’m also not a fan of the game’s episodic nature. Each of the main characters have their own mini story complete with their own cast of characters which all eventually lead to the main arc of saving the world yet again from an extraterrestrial menace. I also found the whole ‘episode’ system to be disjointed and not really cohesive until you get to the ending tales. This is particularly due to the option for players to play most of the episodes in whatever order they want. It’s obvious that this is a leftover from the game’s mobile/episodic roots, but it still leads to an overall story that is not greater than the sum of its parts. My issues with After Years’ story also extend to its gameplay. There was far too much grinding and not enough story development with each episode. Considering that several episodes also feature throw-away characters that require grinding but aren’t necessarily seen again, it makes the necessity of the grind even more frustrating. The one new feature, Band Abilities, (which are basically Chrono Trigger’s Dual/Triple Techs) is interesting but doesn’t really add much to the game. There’s also far too much of an emphasis on revisiting old areas with little in the way of actually updating the locales with new places to go. This issue does diminish a bit the further you get into the story, but I still encountered enough of it in the first half of the game that I could see a lot of folks just putting it down in frustration. I am a huge fan of the Final Fantasy series, particularly when it comes to the pre-PSX titles. I also hadn’t played After Years before and was fully expecting this to be a wondrous romp through nostalgia. Unfortunately, that feeling never came while playing through After Years. I can’t pinpoint which of my above issues lead to this absence, but regardless, without that nostalgia all you’re left with is a mediocre at best RPG with too much recycled content. Huge fans of FFIV will probably want to check it out After Years regardless, but honestly, I don’t think you’re missing much.